A Holstein cow; standing in the sun. Photo by U.S. Department of Agriculture/Flickr (Use Permitted with Attribution). Wisconsin is the nation’s leading milk-producing state, and the dairy industry has been important to Wisconsin's economy and heritage. 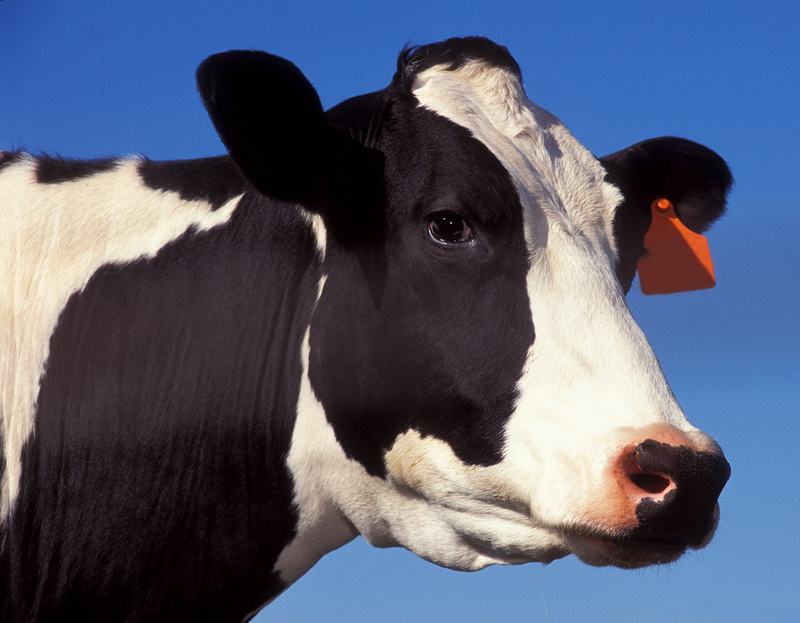 Each dairy cow produces about 6.5 gallons of milk per day. Less than half of this milk is consumed as a beverage, the rest is used for butter, cheese, ice cream, milk powder and other processed products. 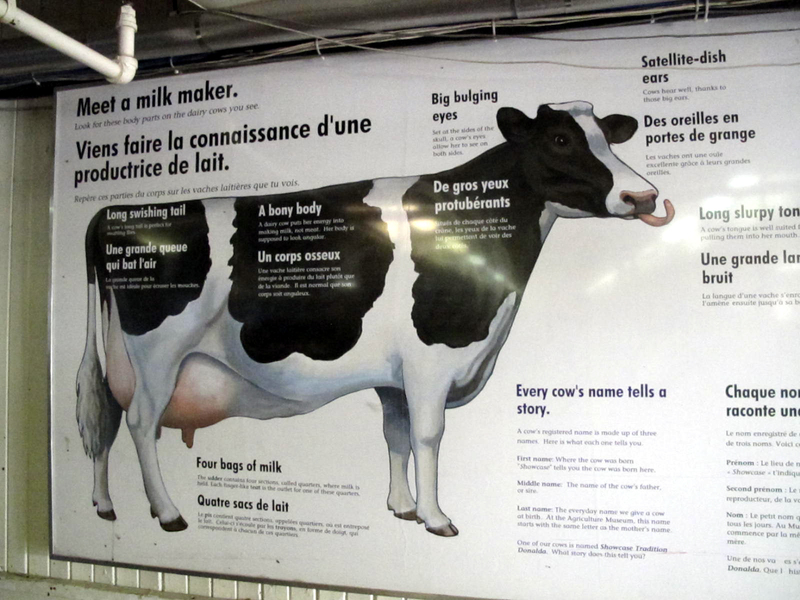 Meet a milk maker; an illustration describing the dairy cow at Canada Agriculture Museum 114; includes the meaning of a cow's name (the first name tells you where the cow was born; the middle name is the cow's father, or sire; and the last name is the everyday name the cow is given at birth). Photo by Douglas Sprott/Flickr (noncommercial use permitted with attribution). 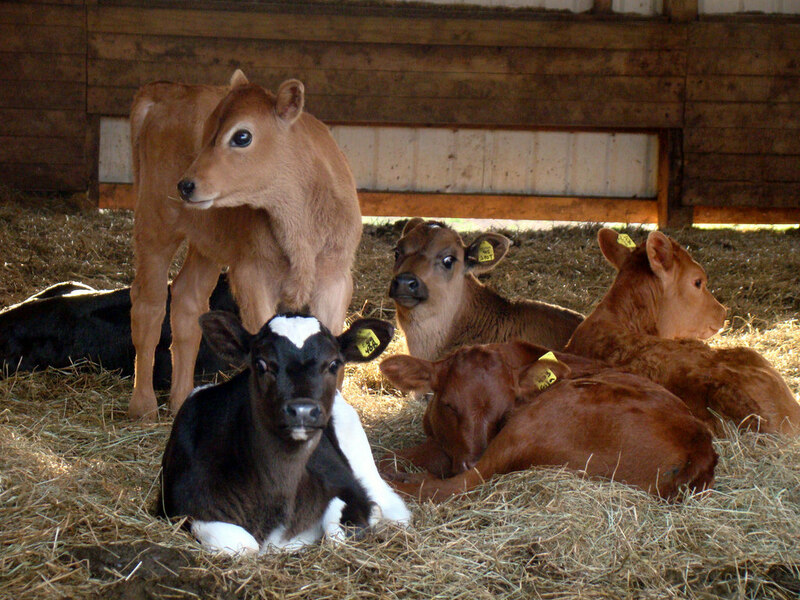 Calves; from a diverse herd of dairy cows (Jersey, Milking Shorthorn, Dutch Belted, Ayreshire and Holstein). Photo by la fattina/Flickr (noncommercial use permitted with attribution/no derivative works).